A. Indian nationals who hold at least a first class Bachelors degree from a reputed Indian university or a comparable institution. Non-Indian and non-EEA nationals need not apply directly as they are selected by the individual universities but are required to have the same academic qualifications. 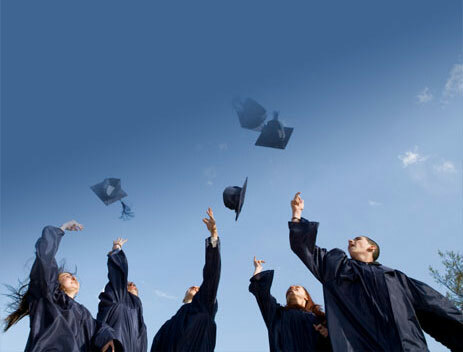 The scholarships are awarded on the basis of outstanding merit and financial need. Q. Is there a specific subject for which these awards are given? A. No. All subjects offered by the participating universities, except for medicine, are considered. The Selection Committees do not have a bias towards/ against any particular subject. Q. I have an offer of admission from the University of Sheffield, or from the Imperial College of Science, Medicine and Technology, London. Can I apply for a Felix Scholarship? A. No. Felix Scholarships are available only for the University of Oxford, the University of Reading, and the School of Oriental and African Studies (University of London). Q. I am married. Am I still eligible? A. Yes. Married applicants are considered. However, please be aware that no extra allowance will be granted for married applicants who are successful. The cost of living is very high in the UK and the spouses of married students have to make their own arrangements to support themselves. The Scholarship does not provide funding to spouses. The participating universities do endeavour to make available suitable accommodation to married students but this may involve long waiting lists and accommodation is not guaranteed. Applicants should also bear in mind that, although current UK laws do not place a restriction on the spouses of fulltime students finding employment, in practice it is often difficult to find such employment. A. If you have successfully gained a confirmed offer of admission at your chosen university and have applied for a Felix Scholarship, your chosen university will draw up a shortlist of candidates. The shortlists will, in the case of Indian nationals, be provided to the Selection Committees. Short-listed candidates will be contacted individually for interview. The interviews are held separately for each of the three universities. For non-Indian nationals, your chosen university will carry out the selection process. Q. What is the interview like? A. The interview and/or selection process not only tests the candidate's academic abilities (in their chosen disciplines) but also assesses the candidate's personality, financial need and suitability for the Scholarship. Candidate's must have a good command of both spoken and written English. Each interview lasts approximately 30 minutes. Q. How do I know if I am going to be interviewed? A. You will be sent a letter setting out the date and venue of your interview. Q. Where are the interviews held? A. For Indian nationals they are held in New Delhi and Bangalore. Please note that no expenses are paid to applicants in respect of travel/accommodation costs for attending the interview. Q. How do I know if I was successful / unsuccessful? A. If you are successful you will be informed directly by your chosen university. Unsuccessful candidtates are not informed.